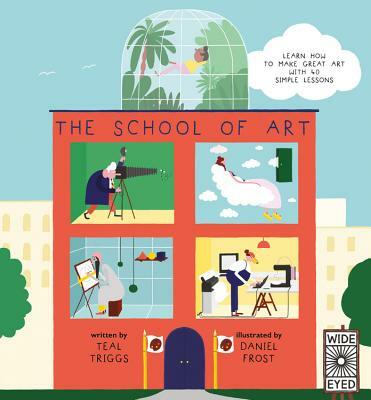 Here you will learn how to make great art with this fully-illustrated collection of fun and informative lessons. Follow the five professors as they work togetherto deliver 40 demonstrations - each one accompanied by a guided activity for you to try at home - to help you to understand the basics of art and design, including composition, color, line, shape, and perspective. Illustrator DANIEL FROST is a recent, award-winning graduate of the Royal College of Art. His work blends modern images with traditional mediums. He lives and works in London.
" Great for budding artists ... "